How can best migration services help me? Best Migration Services Global Pty Ltd (‘BMS’) is an internationally known advisory group associated with Australian Registered Migration Agents and Lawyers specialised in different types of visas and immigration practices. Though established in Australia, BMS through its global network helps recommending and connecting Australian Migration Settlement Experts to any individuals, families or businesses wishing to live and work in Australia. 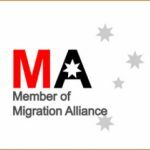 If help is required, BMS assists finding the appropriate Registered Migration Agent and/or Lawyer as per their speciality since all Registered Migration Agents and Lawyers do not specialise in all aspects of Australian migration. The international pool of successful migrants referred by BMS can attest to BMS-associated Registered Migration Agents’ and Lawyers’ HIGH SUCCESS RATE and their reasonable service fees. Australia is a country rich with opportunities. Major cities constantly rank as some of the most liveable ones in the world. With beautiful landscapes, quality education systems, renowned extra-curricular activities, and economic stability, Australia is an excellent migration option to secure your future in. Why use an Australian registered migration agent and not just any other agent? 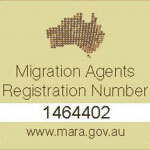 Australian Registered Migration Agents are generally well versed in Australian migration regulations and policies. They will be able to provide you with accurate advice and assist you through all the processes involved in your visa application. As immigration laws and policies continue to change over time, having up-to-date advice and access to correct information from an Australian Registered Migration Agent can be the difference between success and failure. What should i look for in a migration agent? To ensure the quality and legitimacy of service you are getting from your Migration Agent, make sure that you employ the services of a Migration Agent that is registered with the Office of the Migration Agents Registration Authority (‘OMARA’). These agents require to adhere to the Code of Conduct set by the Australian Government. How do i find out if i’m eligible to migrate to Australia? It is best that you consult with Australian Registered Migration Agents or Lawyers to find out if you have what it takes to migrate to Australia. BMS can refer you to Australian Registered Migration Agents or Lawyers who are suitable to manage your particular visa application case. What happens after i receive my Australian permanent residency visa? how do i settle in Australia? Receiving a permanent residency visa is just 40% of the entire settlement procedure. BMS works hand-in-hand with its sister company Post Landing Services (‘PLS’) to take care of the other 60% to ensure a seamless transition and settlement into Australia. BMS offers a wide range of settlement packages to provide assistance to families in jump-starting their new life by recommending affordable accommodations, voluntary work experiences, career services, information and referrals for schooling, childcare and health. BMS can also help new Australian migrants with investments, loans, taxation and accounts, trading opportunities, and government project opportunities for businesses. What are the benefits of becoming an Australian permanent resident? be eligible for Australian citizenship (subject to meeting certain criteria). Book a confidential and professional consultation with one of our Australian Registered Migration Agents and/or Lawyers specialised in area of your enquiry. They will discuss your individual circumstances, answer your questions and provide advice on your visa options and the prospects of the pathways available to you. 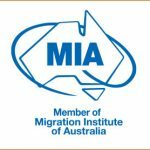 One Free Consultation: Our Australian Registered Migration Agents and/or Lawyers will provide you with the immigration advice by completing a brief assessment of your personal circumstances to determine if you meet the visa requirements and will let you know if you can proceed with your process for migrating to Australia. The free consultation is for 30 minutes and can be conducted either face-to-face, over the phone, or Skype, subject to availability. Paid Consultation: Our Australian Registered Migration Agents and/or Lawyers will provide you with immigration advice by completing a detailed assessment of your personal circumstances to determine if you meet the visa requirements and will advise you about any other factors that may increase the likelihood of the application being successful. Furthermore, you will also be consulted with recommendations of alternative visa types that are more aligned with your personal circumstances. The paid consultation is for 60 minutes and can be conducted either face-to-face, over the phone, or Skype, subject to availability. A personalised written assessment summarising your immigration advice will be provided to you for your own records. Additional Support: As part of the paid consultation service, you are entitled to receive 3 hours of further online support on the same matter of your enquiry. Note: This consultation service is non-refundable and is valid for all Australian visa and settlement services provided by BMS. Guided Visa Application Service: Our Australian Registered Migration Agents and/or Lawyers will provide you with immigration advice and assistance by providing personalised assistance based on your immigration matter, whereby you will receive advice and guidance in order for you to complete your application. The guided visa application service is recommended if you are considering to submit your own application to the relevant authorities, including but not limited to the Australian assessing authorities and the Department of Home Affiars. The guided application service starts from a 60 minute assessment and can be conducted either face-to-face, over the phone, or Skype, subject to availability. A personalised written assessment summarising your immigration advice will be provided to you for your own records. Personalised Assistance: You will be provided with guidance for every step of the way on how to complete and submit your application correctly and to ensure your application is decision-ready. Pre-application Preparation: A simplified checklist relevant to your application will be provided and explained to you, to help you manage your visa application in the most efficient and effective manner. Additional Support: As part of the guided visa application service, you are entitled to receive 10 hours of further online support. Note: This consultation service is non-refundable and is not valid for business and investment visas and settlement services. Managed Visa Application Service: Our Australian Registered Migration Agents and/or Lawyers will provide you with immigration advice and assistance by providing personalised assistance based on your immigration matter, advice and guidance in order for you to complete your documentation requirements, and will act on your behalf as your representative from the date of engagement. Allow your representative to personally manage your application and relieve you from the stresses and worries of meeting the mandatory requirements of Australian assessing authorities and the Australian Government. The managed visa application service is highly recommended if you would like to ensure that your application is prepared and submitted in the best possible manner by one of the best in the industry. The managed visa application service starts from a 60 minute assessment and can be conducted either face-to-face, over the phone, or Skype, subject to availability. A personalised written assessment summarising your immigration advice will be provided to you for your own records. Pre-application Preparation: A simplified checklist relevant to your application will be provided and explained to you, to help you manage your visa application in the most efficient and effective manner. Our Australian Registered Migration Agent and/or Lawyer will work hand-in-hand with you throughout your documentation collection process to ensure your application will be of the best quality. Additional Support: As part of the managed visa application service, you are entitled to receive 18 hours of further online support. Service Charges: BMS is associated with the best of Australian Registered Migration Agents and/or Lawyers and Settlement Experts. The service charges are dependant on several factors, including but not limited to: whom you wish to appoint to act on your behalf (junior or senior Australian Registered Migration agent), Lawyer, the type of visa application, and any other relevant factors to consider. The service charges can only be determined after undertaking a consulation service, as every application is assessed on a case-by-case basis. Third country nationals are eligible, excluding nationals from Afghanistan and North Korea, EEA and Swiss. In the future, applications from other countries may also be excluded in accordance with Government policies. Can parents or grand-parents of the main applicant apply as dependents? Yes. A parent or grandparent of the Main Applicant or of his/her spouse, who proves to the satisfaction of the Minister that he/she is not economically active and is principally dependent on the Main Applicant, is eligible as a dependent. If a grandparent is applying as a dependent, proof that shows the link between the grandparent and the Main Applicant/spouse has to be provided (such as a ‘family-tree’ through birth certificates of the Applicant/spouse, the birth certificate of the respective parent, and then the grandparent). An additional fee of €5,000 per parent and grandparent applies. Can household staff be eligible as dependents? No. The Malta Residence and Visa Programme is only open to the Main Applicant and his/her family dependents. In the case of an application for the entire family, are there additional fees? The €30,000 covers the Main Applicant, Spouse and children who, upon submission of application, are not married and not economically active. For parents and grandparents of the Main Applicant and Spouse, an additional fee of €5,000 applies. A residence card processing fee applies when a residency card is issued or renewed. The fee is of €137.50 per person for the initial 5 years and €27.50 per year for renewals. What is the validity period of the residency certificate and the residency card? The Residency Certificate does not expire provided all the requirements are adhered to. The Residency Card is valid for 5 years or until the cut-off dates, which have been set at ages 14 and 18. Is it possible to add a dependent at a later stage? What form of investment is acceptable? L.N.288 of 2015 does not mention Government Bonds and Stocks. For the time being, the Qualifying Investment will consist of Government Stocks or Funds that invest exclusively in Malta Government stocks, equivalent to €250,000 (Market Value). These stocks/bonds can be purchased from a suitable stockbroker. MRVA will need a receipt or a certified true copy of the purchase agreement. The applicants are required to invest exclusively in debt or equity securities listed on the Official List of the Malta Stock Exchange. Investment in these securities may also be achieved through an investment in collective investment schemes that are licensed and are on the Official List of the Malta Stock Exchange. This investment can be purchased from a suitable stockbroker. MRVA will need a receipt or a certified true copy of the purchase agreement. Can an applicant open an account in Malta? An Applicant may open an account in Malta at his/her discretion. What is the return the beneficiary gets on the qualifying investment? At what interval is interest paid? This does not fall within the remit of MRVA. Matter is to be discussed with a qualified stock broker and/or banking institution. What is the procedure for buying the qualifying investment? This has to be tackled with a qualified stock broker and/or banking institution. MRVA would need a certificate confirming this investment. After the initial 5 years, with regard to the qualifying investment, can the applicant sell the bonds or his investment portfolio but still hold a Maltese residency? Yes he may sell the qualifying investment after 5 years and still retain his Maltese residency on condition that other requirements stipulated in L.N. 288 of 2015 are still met. Can the applicant take a loan to buy the qualifying investment? This is at the discretion of the Bank. Are the funds which invest exclusively in Malta government bonds accepted as a form of qualifying investment? Do applicants need to own/lease property at application stage? No. The Applicant has to own/lease property and submit the relevant documentation after receiving the Letter of Approval in Principle. However, a property that would have been leased/purchased before the application submission and which satisfies the rules found in L.N.288 of 2015 regarding the Qualifying Property, is still acceptable. Can the beneficiary sell or stop leasing the declared qualifying property during the first five years and replace it with another qualifying property? Yes, during the first five years the Beneficiary can sell the qualifying property and buy/lease a new property as long as he continuously satisfies the qualifying property conditions. There MUST be no gaps between the end date of the previous lease/ownership and the new lease/ownership. He would have to inform the RAP/RAA who in turn should inform MRVA. A certified true copy of the purchase/lease agreement of the new qualifying property has to be submitted to MRVA as evidence. Would the beneficiary have to commit himself not to sell the property for the first five years if he decides to purchase a property? How would this be monitored in practice? No the Beneficiary does not have to commit himself not to sell the qualifying property. This can be sold as long as it is replaced by another qualifying property. The monitoring happens on an annual basis for the first 5 years through the submission of a Form MRVP5 – Official Compliance Form, which is to be signed by the Beneficiary and the RAP/RAA and submitted by the RAP/RAA to MRVA. After the first five years, monitoring will happen once every five years. Would purchasing a number of rooms in a hotel and owning these for a period of 5 years, naturally without anyone else having access to the rooms in the meantime, qualify? A client explained that he has just bought a property in the south of Malta for circa €190,000 and will be spending a minimum of €100,000 (arising outside Malta) on it – therefore the total cost to him will be in excess of the €270,000 required for a property in the south. Will this be considered to satisfy property investment? If the purchase of the property has happened after L.N.288 of 2015 came into force, the determining factor is the value of the property as declared on the contract of sale. Therefore, the said scenario does not satisfy the Qualifying Investment criteria. Therefore, the value must be met at the date when the application is submitted and not after the Letter of Approval in Principle is issued. Would an acquisition of immovable property (aip) permit be required for a non-eu citizen who is applying under this programme if the property is not in a ‘special designated area’? Yes, the acquisition of immovable property permit is still required. Would the minimum property requirements no longer apply, after a qualifying property has been held for the first 5 years? The Beneficiary is not obliged to retain possession of the Qualifying Property stipulated in the respective legal notice. However, to retain residence he must provide a suitable residential address. Is it possible for the main applicant to first rent and then buy a property? Yes, it is possible, as long as the qualifying criteria are satisfied in both cases. Can the applicant take a loan to buy the qualifying property? During application stage applicant undertakes to fulfill the obligation to buy or rent the property in Malta together with the investment obligation. Is an affidavit enough or do you need a promise of sale/rent agreement? The declaration is part of form MRVP1, which needs to be signed before a Commissioner for Oaths. It is quite normal for property to be co-owned by the main applicant and his/her spouse, children and sometimes grandparents. Would this be accepted as evidence of the €500,000 capital? Co-ownership is acceptable. However, as regards the €500,000 capital assets for the qualifying criteria purposes, only the portion of the evaluation value that pertains to the Main Applicant, and if part of the initial application that portion pertaining to the Spouse and the children where applicable. If the applicant is in possession of assets amounting to €500,000, or an annual income of €100,000 (arising outside Malta) – is the amount applicable only to the main applicant or is it applicable also to the other listed dependents? The amount is applicable to the Main Applicant only. If the applicant is in possession of assets amounting to €500,000, or an annual income of €100,000 (arising outside Malta) – does this amount change if the application is for the main applicant and other dependents? No, the amounts do not change with the number of persons covered under one application. With respect to monitoring requirements, if the certificate is provided on the basis that he/she has in his/her possession assets amounting to €500,000, or if the applicant is in possession of an annual income of €100,000 (arising outside of Malta), does this monitoring requirement also apply for dependents listed on the certificate? And in what form should these declarations be presented to MRVA? No, monitoring of assets will only be conducted on the Main Applicant and is not applicable to dependents. The declarations will be made through the submission of form MRVP5 Official Compliance Form, which is to be signed by the Beneficiary in front of a Commissioner for Oaths, the Commissioner for Oaths himself, and the RAP/RAA and submitted by the RAP/RAA to MRVA. The Beneficiary and the Commissioner for Oaths sign to endorse that the information submitted is true, factual and correct. The RAP/RAA signs for administrative purposes only. After the first five years, monitoring will happen once every five years. Is the €500,000 capital requirement distinctive from the value of property acquired in Malta together with the €250,000 invested in government stocks? Capital of €500,000 and/or €100,000 (arising outside Malta) income per annum. In regard to €100,000 (arising outside malta) proof of annual income; is the declaration by the employer enough? Yes, as long as there is enough information on the employer. Evidence, such as salary slips or contract of employment showing the annual salary would suffice. The guidelines make reference to a statement of source of funds and wealth. What is MRVA expecting in this regard? The Statement of Source of Funds and Wealth has been incorporated in form MRVP2. Also, a bank statement of the Applicant’s main account for the last 3 months from which the Initial Fee and the Final Contribution fee will be remitted is required. Not many people keep cash in a bank account for a long time; they may have investment in property, security or business. Can the applicant present a security/investment portfolio and/or property appraisal and/or company financial accounts? Yes these documents are acceptable as long as they are issued from a reputable company or an official entity. These documents will accompany the necessary MRVP forms, including form MRVP2 in which the statement of Source of Funds and Wealth has been incorporated. MRVA is interested in the ‘individual’ financial capabilities and the Applicant must convince the Board that he/she has enough funds to sustain him/herself and dependents. What is important is that reliable evidence is presented to sustain the Applicant’s declaration. Who needs to provide proof of income: main applicant or also the dependents? Only the Main Applicant is to provide proof of income (€100,000 arising outside Malta annually and/or ownership of €500,000 in kind or in cash). At which stage does the main applicant have to submit an affidavit declaring that he/she has a sufficient annual income? This declaration is part of the latest version of form MRVP1, which is now considered as an affidavit, and hence is submitted as part of the application pack. With regard to the €500,000 capital requirement, would an architect’s appraisal (valuation) be acceptable as evidence for MRVA in order to establish the total net assets of a client if his/her assets were primarily real estate (and not necessarily cash or other liquid assets)? Yes, an architect’s appraisal is acceptable and real estate can form part of the Main Applicant’s capital requirement. Is a spouse considered to be a dependent if he/she has assets or sources of income? Although the spouse is considered as a dependent, nothing precludes him/her from being in possession of certain assets and of sources of income. With respect to the “know your customer” evidence and due diligence processes, in which format is such evidence to be presented to MRVA by the RAP/RAA? The RAP/RAA is responsible for introducing reputable Applicants, hence the need to ensure that RAP/RAA supports MRVA by forwarding printed reports with regard to enquirers conducted from reliable sources on potential Beneficiary and all dependents over the age of 14. Other information that could be provided by RAP/RAA will facilitate MRVA to conduct a proper due diligence assessment. RAP/RAAs must remember that they should keep evidence of their investigations, for which they are solely responsible. At which stage do RAP/RAAs need to submit evidence of kyc and other due diligence processes? These have to be submitted upon application stage. Where do i find a list of documents that have to be presented during application submission stage? A list has been introduced in the Application and Documentation Guidelines available on the MRVA website. Would the department require the original birth certificates, marriage certificates, etc., at a later stage? No. We require such certificates at application stage and they may be submitted either as original or certified true copies of originals. These documents should be either apostilled or legalized, as the case may be. If such documents are in a language other than English these should be translated to English. Translations done abroad should be apostilled or legalized. Translations done in Malta should be carried out by a registered translator. How should an RAP/RAA proceed if the main applicant and/or his/her dependents are not able to obtain a police conduct from a particular country? As per Articles 6.2.a and 7(b) of L.N.288 of 2015, the first preference is a police certificate issued by the Malta police as well as a police certificate issued by the competent authorities (federal or national) in the country of origin and in the country or countries of residence where the Main Applicant has resided for a period of more than six months during the last ten years. Only in exceptional cases, where it is proven to the satisfaction of MRVA that such a certificate is not obtainable, we would require an affidavit from a Police Official and/or a Government Entity in his/her country of origin or where he has resided for a period of more than 6 months in the last 10 years, confirming that good faith attempts were made by the Applicant to obtain the required certificates. Moreover, another separate sworn affidavit made by the Applicant and any dependents, declaring a clean criminal record is required. In cases where the applicant has never resided in Malta, is a police conduct certificate issued by the Maltese police still required? Would a main applicant need to submit a copy of divorce certificates, signature and copy of passport of the divorced partner(s) in case of dependent children? In case of a divorced individual – whether a Main Applicant or a qualifying dependent – a divorce certificate must invariably be submitted, even if the said individual has since re-married. In the case where the Main Applicant has sole legal custody, there is no need to obtain the signature of the divorced partner, and a copy of the divorced partner’s passport. The client, in this case, must provide a court document showing that he/she has sole custody of the child/children. However, if the Main Applicant has a shared custody of the child/children (dependents), there will be the need to obtain the signature of the divorced partner on Form MRVP4 and a certified true copy of his/her passport. In the case where the Main Applicant or spouse has sole custody, the court documents proving that they have sole custody are required. In the case where the Main Applicant or the spouse have shared custody with the child’s biological parent who is not being included in the application, Form MRVP4 needs to be signed by both parents and the passport belonging to the biological parent is to be submitted. In the case where the biological parent, who is not included in the application, has sole custody, the child can’t be included in the application unless the custody of the child is legally switched to the Main Application or the spouse. Please note that in all the above cases, what applies for the Main Applicant applies for the Spouse and his/her dependent. Apparently, in the case of minors, consent by both parents is required. In this regard, may you kindly advise which application forms should the parent (who is not part of the MRVP) sign to give his/her consent for the minor to be part of the MRVP with the other parent? Reference is being made to Form MRVP4 – Declaration of Dependent. In case Applicant has sole custody of the child/dependent, his/her partner is not required to sign any additional papers. This is without prejudice and subject to the national laws in the child’s country of origin. In the case of shared custody, the other parent has to fill in Section C and provide a copy of his/her full passport. Would the RAP/raa need to submit any documents prior to setting up an appointment with the customer care of MRVA in order to place the application? No, there is no need for any documents prior to setting up an appointment. The RAP/RAA must simply ensure that all documents stipulated in the guidelines/application forms, are provided to MRVA on submission of application pack. With regards to the ‘representation agreement/power of attorney’ to be entered into between applicant and RAP/RAA: does the representation agreement have to be in some particular form? It is at the discretion of the RAP/RAA and the Applicant to agree on the form of the representation agreement, which is our case has to be a fully-fledged Power of Attorney. Details of Witness i.e. full name and signature, passport number and country of issuance. If the main applicant confirms that he/she holds shares in a company that is publicly listed (that is, it is a plc) are company documents to be submitted with the application pack? If the Main Applicant’s shareholding exceeds 15% of the total shareholding in a publicly listed company, the company documents are required. Is documentary evidence of residential address required only for the main applicant or for all adult dependents, including the spouse? We require documentary evidence of every residential address the applicants included are residing at. Do expired residence permits need to be submitted together with the valid ones during the submission of the application pack? No, only residence permits which are still valid at the time of application need to be submitted, for Main Applicant and all dependents. What proof would be considered as satisfactory in proving that an adult dependent (child, parent, grandparent) either of the main applicant or his/her spouse, is not economically active and that he/ she is principally dependent on the main applicant? The Main Applicant must declare this in an affidavit. It is recommended that any documentary evidence that corroborates this declaration is submitted with the application pack together with the affidavit. In the event that the parent or grandparent, either of the main applicant or the spouse, receives some form of retirement income, will he/she still remain eligible to be included as a dependent? Yes, they would be eligible. However, the Main Applicant must still provide an affidavit confirming that the afore-mentioned parents or grandparents are his/her or her dependents. Is there a specific template for the affidavit of dependency? No, there is no specific template. However, it is advisable to make use of the wording found in LN288 of 2015. In accordance with article 6 (2) (c) – (f) the applicant must provide an undertaking to purchase or lease a qualifying immovable property, to make the qualifying investment in Malta and to remit the total of the non-refundable contribution. Is the declaration on form MRVP 1 sufficient or do you require a separate undertaking executed by the applicant? The declaration in Part C on the MRVP 1 Form suffices. Article 6 (2) (f) refers to a certificate requested from a reputable health system to the satisfaction of MRVA. Does part e of MRVP3 suffice or is a separate certificate required? Also would you need evidence of the licence/warrant to be provided in relation to the physician examining and certifying the medical report and questionnaire (form MRVP3)? Yes, it is covered by Part E of form MRVP3. It is recommendable that a copy of the licence or equivalent, is included with form MRVP3. Please refer to the qualifications and general requirements mentioned in article 7 (c) – (h) of legal notice 288 of 2015, being some of eligibility criteria for the applicant and dependents. Please advise whether it would suffice if the applicant and the dependents provide a declaration sworn before a commissioner of oaths confirming what is listed in the mentioned sub-articles of article 7 of the said legal notice or if anything else is required? Part C in the form MRVP 1 and parts A or B, as applicable, in the form MRVP 4 suffices. No additional requirements are needed unless specified by the MRVA Unit. A statement of source of funds and wealth is one of the documents which will be required – would an administrative form have to be completed? No more documents are required as this has been incorporated in form MRVP2. Hence the information requested in Form MRVP2 should suffice. Which administrative forms would need to be completed for the applicant and his/her dependents upon submission of application pack? Form MRVP6 (Clearance form) for dependents over 12 years of age on the date of application. Notwithstanding this, other documents may be introduced in the future, as the need arises. It is imperative that the latest version of these forms are downloaded from our website just before the application process commences. Can you please confirm if there is a minimum amount of health insurance required for each MRVP applicant and dependent? We are in contact with some people in China and they have informed us that notaries in mainland China do not notarise and apostille documents. Have you encountered this problem/issue? What is the applicable procedure that is acceptable to MRVP? Yes, we have already encountered similar occurrences. Official documents/notarial certificates originating in China have to be legalised, meaning that such documents have to be certified by the foreign ministry of China and subsequently have to be certified by either the Maltese Embassy in Beijing or the Maltese Consulate in Shanghai. Several Applicants have already done this without encountering issues. What happens if the main applicant cannot produce a birth, a marriage or a divorce certificate when applying for residency? We shall accept application however during its processing they would still need to provide such certificates, or the family book, or equivalent, wherever this is produced. Each case will be dealt with on its own merits. Which are the official documents and in which format should they be submitted? Original Official Documents need to be apostilled/legalised by the government authority of the issuing country. A Certified True Copy of an apostilled/legalised original is acceptable. However, if certification is done abroad, an apostille/legalization of the certifier is required. Translations of original or of certified true copies of these official documents need to be apostilled/legalised if done abroad. In which language should a self-declaration be submitted? A self-declaration, has to be signed and dated by the issuer and has to be submitted in original. Any self-declarations not in English must be translated to English. Translations done abroad have to be apostilled/legalised. Translations done locally do not need to be apostilled/legalised but have to be carried out by a Malta registered translator. Should parents or grandparents applying be above a certain age? No, there are no age threshold. We assume that evidence of business ownership is applicable only to the extent that the main applicant has declared that he is self-employed. Kindly confirm. In the case of business ownership, whether in part or in full, this is required whatever the declared employment status is. Is evidence of employment required when the main applicant has declared that he is not self-employed? Evidence of employment is required when the Main Applicant has declared that he is not self-employed. What evidence would a main applicant who declares that he is both “self-employed” and “not self-employed”, need to submit? In the case where the Main Applicant is both self-employed and not self-employed, he has to mark both options in Part C of form MRVP2 and has to produce evidence on both his/her employment and his/her self-employment. How should form MRVP 4 be completed? In case of minors who are less than 12 years old on the date of application, the tick boxes in Part B and all of part C have to be completed. In the case of a minor dependent who is between 13 and 18 years Part B and Part C have to be completed. In the case of an adult dependent Part A is to be completed. Part C1 is to be filled in and signed by the Main Applicant or the Spouse, who is to select in which role he/she is submitting the form by selecting Main Applicant or Spouse in the appropriate Field. If he/she has sole custody, he/she has to denote this by ticking the box denoting sole custody. Part C2 is to be filled in by the other parent/legal guardian of the minor unless the other parent has sole custody. Again, this person (other parent/legal guardian) has to tick whether he/she is the Main Applicant, the Spouse or a Non-Applicant in relation to the minor whose details are written on the form. Is it only form MRVP1 which requires the signature of the commissioner for oaths? Form MRVP1, which is to be submitted upon application stage, and Form MRVP5, which is to be submitted at Compliance Stage, are to be signed in front of a Commissioner for Oaths (or whoever is empowered to administer oaths in the respective jurisdiction), who has to stamp, sign and date the form. Moreover, both the Main Applicant and the Commissioner for Oaths have to initial each page. On the form MRVP3 (medical report and questionnaire), if a specific hospital/doctor fills in and signs the form, do they still have to supplement a medical test report. The form should suffice as long as it is accompanied by the patient’s identification document which is stamped, signed and dated by the examining physician. Which hospitals are accepted by the Maltese authority? If international hospitals are accepted and the client has the examination record in English, is an apostille from the Maltese Embassy required? National and international hospitals are accepted. There is no need for an apostille. When there is no Maltese embassy or consulate in a certain country, or if the main applicant so desires, can a local lawyer/solicitor/notary be the witness for the signature on form MRVP1 and any other affidavit? Also, can a local court be the witness of the signature? Whoever is empowered to administer oaths in the respective jurisdiction, and we have official confirmation that this is the case, can witness the signature on Form MRVP 1 and other affidavits. A commissioner for oaths could also be available in local Courts of Law. It is to be remarked that all signatures should bear the stamp of office and any other relevant details. Would the main applicant need to be present when the application is submitted? How would the initial €5,500 be settled? What would you consider an appropriate agreement with the RAP/RAA; would a copy of our company’s standard “letter of engagement” suffice as proof for this purpose? Does MRVA require any specific format for the submission of the application, including referencing, etc.? A19 of form MRVP2 refers to id card details of issuing country. Is a copy required with the application (translated, certified, apostilled)? With regard to dependents; is the affidavit of dependency the only requirement as proof of dependency or is any additional proof/supporting documentation required? For instance: school certificates, certificate of retirement, etc.? Are there any guidelines on the fees which RAP/RAAs should be charging in connection with their services for the purposes of the Malta residence and visa programme? The RAP/RAA has to provide a covering letter stating why the main applicant is interested in obtaining residence in Malta. Why would the client not be doing this in the form of a letter of intent, as they do in the other programmes? Also, in the checklist they make reference to a covering letter being signed by the RAP/RAA. Would this not be the usual cover letter we hand to you to sign, as the description matches what we would usually know as the letter of intent? Can the RAP/RAA submit one marriage certificate per couple as we do in the IIP programme, rather than one from each married person? With regard to divorce certificates, do they have to be provided all or do the most recent ones suffice? Is a written signed declaration from the client adequate? Or do they have to submit an affidavit? Affidavit – is a commissioner for oaths a suitable person to attest to the signature of the affiant? What will happen once the application packs are submitted by the RAP/RAA? A receipt of the application pack is given to the RAP/RAA who is also requested to pay the initial fee of €5,500. Once these fees are received by MRVA, due diligence checks on the Main Applicant and dependents are conducted. If this is successful, the application is presented to the board and, if approved, a Letter of Approval in Principle is issued by MRVA. Following this process, the Main Applicant will need to buy/lease the Qualifying property, buy the Qualifying Investment and purchase the necessary Health Insurance Cover. The Main Applicant will be allowed a time-frame of three months from the receipt of the Letter of Approval in Principle. Once the Main Applicant provides all the documentation, MRVA will issue a Letter of Final Approval to the Main Applicant (AKA beneficiary), inviting him/her and his/her dependents to call at our offices for the capturing of bio-metric data. Once the bio-metrics are captured, and all residency forms collected, the green files are prepared by MRVA for each applicant to be submitted to the DCEA. DCEA will be responsible for the registration, approval and printing of the cards. This process is currently taking around 1 week per application. Within 3 to 5 days MRVA will issue the Residence Certificate, provided that all documentation is finalised and deemed acceptable to the agency. Will the residence certificate and the residence card have expiry dates? As long as all requirements stipulated in LN288 of 2015 will continue to be met, the Residency Certificate will not have an expiry date. The Residency card, which will reflect the said immigration position, will be initially valid for a period of five years, renewable. In cases where a Residency Card is issued to a minor of less than 14 years, and the minor turns 14 within the “normal” 5-year card validity, the expiry date of such minor’s card will fall due one month after his/her 14th birthday. The same applies when dependent turns 18 years of age. Is there any exemption from submitting the bio-metrics, for instance if a person is a baby or disabled? Yes, children are exempt from bio-metrics up to the age of 2. However, form ID2 together with 2 certified passport size photos need to be submitted for each child. With regards to people with disabilities, each case will be decided on its own merits. Will a language test be carried out to test the main applicant’s and the dependents’ knowledge of Maltese/English? Upon renewal of residence card after 5 years, do other fees apply? Yes. Each individual has to pay €27.50 per year to have the Residence Card renewed. Following the initial five-year period, upon renewal of residency card, are the main applicant and other beneficiaries required to come to Malta to retake their bio-metrics? Although 3 sets of bio-metric data are captured for each Applicant, thus having 2 extra sets in file, the extra sets might be used up in case of technical issues, and/or in case of a change of address and/or in case of a loss of card during the validity of the card. In such circumstances, Applicant and/or his/her dependents will be required to come to Malta for bio-metric data capturing. In cases where a Residency Card is issued to a minor of less than 14 years, and the minor turns 14 within the “normal” 5-year card validity, the expiry of such minor’s card, will fall due one month after his/her 14th birthday. The applicant will be required to visit our offices to have his/her bio-metrics data captured in order to include the fingerprints. The same applies when dependent turns 18 years of age. Would MRVA support or facilitate the issuance of visas for applicants for travelling purposes? MRVA cannot provide any support to applicants obtaining a Visa. The agency can only confirm that the applicant has applied for a Residency card under MRVP. Will the commencement of lease need to be as close to the appointment of submission of final documents as possible? Ideally the Lease Agreement should commence closest to the submission of the final proofs. The same applies to the Health Policy. We apply a tolerance period of a maximum of 3 months. Is the health policy required to be submitted together with other requirements once an application has been approved? Yes, the Health Policy endorsement or its equivalent together with the NHS declaration, have to be submitted at Final Proof Stage. After acceptance of the application, where do the applicants have to provide the bio-metric data? Does the whole family have to travel to Malta? After the Letter of Final Approval, the Main Applicant and all dependents have to travel to Malta to have their Bio-metric data captured. However, at the discretion of MRVA and given certain conditions, Bio-metric data capturing can also be done abroad. In the latter case, the trip and accommodation for the MRVA member that will be administering bio-metrics abroad is to be financially provided for and covered by the applicants and the Main Applicant and Dependents would have to travel to Malta to pick up the cards in person and sign the Subscriber’s Agreement at DCEA. How will beneficiary and dependents show that they have been away from Malta for the stipulated period? This obligation is no longer required. Can a foreigner ever apply for the acquisition of Maltese citizenship by naturalization? Yes, a foreigner may submit an application for the acquisition of Maltese Citizenship by naturalization after continuously residing in Malta for a period of five years. He/she should have resided in Malta throughout the twelve months immediately before the date of application and four years out of the preceding six-year period. He has to be knowledgeable in spoken/written English & Maltese, of sound mind and of good conduct. The Minister has the discretion, according to the Law, to grant or refuse the application. It does not, therefore, mean that if such person satisfies the said conditions he/she would be automatically granted citizenship by naturalization. The Minister’s decision is based on internal policies, whereby amongst other requirements, the number of years could also be a feature in the examination of the relative request. Is a minimum presence required in Malta on the part of the applicants? Are no days spent in Malta allowed? There is no minimum presence required. May a beneficiary under the programme be granted an automatic licence to be employed or to engage in business in Malta in view of the provisions of article 11 of the immigration act? L.N. 288 of 2015 does not entitle the Beneficiary to any employment licences. Beneficiary still needs to apply for a work permit through normal procedures. How can the beneficiary and/or dependents apply for a work permit? The Beneficiary and/or dependents can apply for a work permit by submitting an application for a ‘work permit’ through the normal channels. Kindly note that dependents are only eligible to work after the issuance of Residency Cards. How can the beneficiary and/or dependents apply to set up a business in Malta? The Beneficiary or spouse can apply, through the competent authorities, to launch a business in Malta as long as they satisfy the prevailing legislation. A dependent can also take this route without losing his/her residency rights. Taxation of working clients: i found information about “a flat tax rate of 15% on foreign source income remitted to Malta and 35% on Malta source income”. What does this mean please? This Programme doesn’t carry any tax grants and/or incentives. The statutory tax applies and it is recommended to seek the advice of a tax consultant. Would a minor dependent of an applicant be entitled to free education whilst residing in Malta? If so, does this apply also to secondary and tertiary (i.e. university) education? No, under the MRVP a minor is not entitled to free education. However, if the Main Applicant acquires a work permit, his/her children would be entitled to free primary and secondary education in state schools. Can applicants work in an eu country under the MRVP? The MRVP does not grant the Beneficiary any employment rights in the Schengen Area. Therefore, he or she will need to apply for a work permit in the Schengen country according to the provisions of that particular country. Will the holder of the residence permit be allowed to travel visa free throughout Europe or only in Schengen countries? Holders of the MRVP residency card may only travel to Schengen countries and for a maximum period of 90 days within a 180-day period. The traveler should invariably carry a valid travel document and the Residence Card. Can the beneficiary add dependents at a later stage? Yes the Beneficiary may add dependents at a later stage as per the Legal Notice. A €5,000 non-refundable administration fee per individual applies to parents and grandparents of the Main Applicant of spouse. Is there a fee for the residence card? Yes. It is €27.50 for a one-year time period per person. Hence a card valid for 5 years carries a fee of €137.50 per individual. What would the consequences be should the beneficiary divorce from his/her spouse? In the case of a divorce, the Spouse of the Beneficiary will lose residency rights. This might also effect the Spouse’s children whose other biological parent is not the Beneficiary and who would have been included as Dependents under the said Application. Each case will be assessed on its own merits. We have a client who is an eu national, and his/her partner is a third country national. Our client wishes to apply for the MRVP for his/her partner. In this regard, since our client is of a European nationality, thus prohibited from applying for the programme, may his/her partner (third country national) apply for the mrvp and our client acts as her benefactor? Our legislation does not impede her from submitting an application as a Main Applicant, supported by a Benefactor. Can there be a benefactor under the MRVP? Yes, there can be a Benefactor under the MRVP. – Sworn declaration that the Benefactor will fund the MA’s MRVP application and all the related financial obligations, and will also provide the MA with stable and regular resources. – Form MRVP6 and a copy of the bio-metrics data page attached at the end of the Form. – Police Certificates from the Benefactor’s country of origin, his current residence and any country he/she has lived in for a period of over 6 months in the past 10 years. The Main Applicant should still complete Form MRVP2 in its entirety and provide a 3-month bank statement of his/her personal bank account. Can a main applicant rely on a benefactor for proof of assets? Yes, however these should be in the name of the Main Applicant as specified in L.N. 288. If in order to satisfy this requirement, the benefactor will be transferring the amount to the Main Applicant, documentary evidence of this transfer such as deed of gift or sworn declaration, and evidence of the bank transfer must be submitted with the application. Can an adult dependent who is employed and receiving the minimum wage still be supported by the main applicant where the minimum wage is not enough to support their lifestyle? By legal definition, the answer is no. A dependent has to be economically inactive at the time of submission of application. He/she may seek employment thereafter. Can the residence card be renewed abroad through the Maltese embassy? The Residency Card cannot be renewed through a Maltese Embassy. In form MRVP3, part a, the applicant needs to list the licenced medical practitioner, is it correct to assume that this is the usual general medical practitioner? In form MRVP3, part d needs to be filled in by the examining practitioner. Who can this be? This may be the same General Medical Practitioner who filled in Part A of MRVP3. However, it could be a different Medical Practitioner. Yes, as long as the certificate is signed, dated and stamped by the Medical Practitioner. The Medical Practitioner should also include his/her professional license number, where applicable. Is there a particular wording which the health certificate must contain? The wording is at the discretion of the GP/Medical institution. Can the main applicant use the company bank account for form MRVP 2 to affect the payment of contribution if the company is owned by him/her and has authorization to use the company bank account since he/she is a director/shareholder of the company? – 3 months bank statement for the company account from which the funds will be transferred. Please note also that the 3 months bank statement for the Main Applicant’s working bank account is still required. Once a dependent reaches his/her 27th birthday, does that dependent automatically lose his/her right of residence in Malta? Would the said dependent be required to, on or before reaching the age of 26 years, apply for an MRVP in his/her name? No, the 27-year threshold is no longer in effect. When minor children under MRVP reach the age of 18, do they lose their Malta residence status? No, they do not lose their MRVP residence status as long as they satisfy the regulations of the L.N.288 of 2015, amended by L.N.189 of 2017. If a beneficiary decides to give up his/her residence right in Malta within the first 5 years and move to another country, can he/she then sell the bond immediately, or does he/she have to wait for 5 years until he/she can sell the bond? Same question applies to the lease agreement: if he/she wants to leave Malta before the lapse of the first 5 years, can he/she then get out of the lease agreement or does the lease agreement have to be for a five period? In our view, this can be done but naturally this will result in the cessation of the certificate. The fact that he/she sells the bond and does not adhere to the qualifying property agreement, the client will automatically lose his/her status and this applies vice versa, that is, if he/she relinquishes his/her certificate, there will be no obligations to fulfill. If a Beneficiary relinquishes and/or loses his/her residency rights, any dependents benefiting from residency rights through the same certificate will automatically lose their residency rights. What is the official compliance form (MRVP 5) that is referred to in the guidelines? The Official Compliance Form (MRVP 5), which is referred to in the Guidelines, is an official form that the Beneficiary will have to fill-in once a year for the first 5 years, and once every 5 years thereafter and the RAP/RAA being responsible for the submission of such form along with the respective required documents. The OCF is in itself a declaration that the clients’ obligations are being satisfied according to regulations. This form has to be filled in and signed by the Beneficiary and a commissioner for Oaths. The RAP/RAA’s responsibility is to ensure that this form is submitted to MRVP together with all the supporting documentation approximately one week in advance, however not more than 2 weeks earlier. If the required documents at OCF stage or at the Report MRVP41 stage are not submitted within a 3-month period, the residence Cards for the entire application will be revoked. The RAP/RAA has to sign this form is for collection and administration purposes only. What will the renewal process for the residency cards be? To what extent will the RAP/RAA be involved? Residency cards will be issued for a validity of 5 years, unless the minor dependent turns 14 or 18 years old, in which case the card validity ceases on the dependent’s birthday. In the latter cases, the card is renewed automatically, free of charge. Renewal requests for the “normal” 5-year expiry, have to come from the RAP/RAA, as long as the beneficiary continues to comply with the regulations of L.N.288 of 2015 accordingly. Will the duration of lease have to correspond with the residency card? I.e. if residency card is issued for 5 years, will a client require a 5-year lease? The duration of the lease has to be not less than a year to comply with the set requirements. Kindly note that the Beneficiary MUST have a valid residence in Malta at all times, with no gaps whatsoever. After 5 years, beneficiary will need to submit the official compliance form every 5 years, to show that he or she is still fulfilling the obligations. Do all obligations need to be retained? Is there any fee to be paid? Is there any documentation that needs to be filled and submitted? After five years your client doesn’t need to retain the qualifying investment. He is still required to retain a residential address in Malta, however he no longer has to abide by the restrictions set for the initial 5 years. Is the requirement to show €100,000 annual income or €500,000 capital just for the first five years? The applicant is required to hold either the €100,000 Annual Income or the €500,000 Capital for as long as the residence permit is valid. If at any point either during or after the initial five years, the applicant does not adhere to the above mentioned, the residence permits will be revoked.